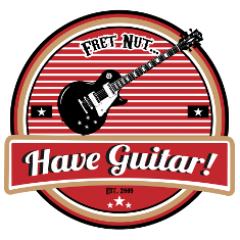 July 2017 - Fret nut... Have Guitar! As mentioned in the last backing track video, here’s Cato Salsa Experience – So The Circus is back in town! Author adminPosted on July 31, 2017 Categories Music VideosTags Cato salsa experience, fret nut have guitar, music tipLeave a comment on Music tip! It’s a new guitar review from have Guitar! – The Ibanez DTT700 Destroyer! So, I got this Ibanez guitar in 2011 and played it alot but then something came loose within the electronics and it’s been hanging on the wall unplayed for longer than I care to think about (I’ll reveal exactly how long in the video…!). But now it’s fixed and back in business again and I’m happy to be able to do this review on the Have Guitar! channel. The DTT700, or Destroyer as I prefer to call it, is a solid body (heavy!) guitar model introduced by Ibanez in 2009 and part of the X series. When it came out Ibanez hadn’t have any Destroyer styled models for three year… and when saying ‘Destroyer’ you know as well as me it’s a word play on the name ‘Explorer’… it has a neck through body build and a fixed bridge. During 2009 – 2010 it came with a Wizard II neck, changed to Wizard III neck in 2011. Mine a 2010 model so it got the Wizard II neck. The pickups are DiMarzio D Activator X, both in bridge and neck positions. A very cool pickup both in the visual and audio perspective. This is what DiMarzio says about the D Activator X on their webpage: “…we’ve adjusted the output and tuned the coils to different frequencies to create a powerful sound wide open with a surprisingly clean sound when the volume control is rolled down, even with extreme metal and high-gain amps.” And that’s something I’d agree upon. The tone guide on DiMarzios webpage states Treble 4, Mid 6 and Bass 5.5 – a bit surprising to me as the tone of the guitar is kinda bright without getting shrill or ugly. Perhaps the higher mid-value contributes to this but all in all it’s good sounding guitar for any sounds from cleans to really high gain. All video shot in 4K with a Sony FDR AX-100. Don’t you love the smell of diesel in the morning? Have Guitar stoutly presents a new Kemper Rig Showcase: VH4 Kemper profiles pack! As you’ve probably already figured out this a rig pack that recreates the sound of a Diezel VH4 amplifier. This versatile 100 watts amp has four pre-amp channels, each with separate control for gain, EQ and master controls – something that kinda gives the VH4 a very characteristic look. It can take the role of as hi-gain metal beast but the flexibility makes it useful in many other genres as well. Hope you’ll like this video and if you do – you can give some support without spending a dime, by subscribing! Thanks to all of you who already do so!! Have Guitar presents a new Kemper Rig Showcase: Live Ready Sound’s Triple Rectified EL34 profile pack! And yes, as the name suggests it’s profiled from a Mesa Boogie Triple Rectifier, an amplifier that offers a barrage of different sound options. The Triple Rectifier offers three channels; the first is clean/pushed whilst the the second and third channels offers raw, modern high gain or vintage high gain. This is the second Triple Rectified pack from Live Ready Sounds and in this profile pack the amp has been equipped with EL34 power tubes and yes… they make a big difference in the sound you’ll get out of the amp. I’ve added a page listing commercial Kemper profilers here at Haveguitar.com – there is a permalink in the menu to the right, under “Have Guitar! More”. If you see something missing in the list feel free to notify me (admin@haveguitar.com) and I’ll add them to the list! Have Guitar is excited to give a Kemper Rig Showcase of Dr. Z’s official Kemper profiles! Yup, it’s a unique and first time an amplifier manufacturer releases a profile pack profiled from their own amps! In this video you will get the sound of Dr Z’s Kemper profiles, both as they sound directly loaded into your KPA but also with some tweaks and effects added. Most the sound examples are directly lined from the Kemper into Cubase but there’s a little ‘captured in the room’ here as well. Have Guitar takes a stint stare at the reverberation effects in the Kemper Profiling Amp. For the reverb effects in the KPA you’ll find five different types; Hall, Large room, Small room, Ambience and Matchbox. It’s a somewhat limited range of reverbs but it’s what’s available right now and in this video Have Guitar will go through them all and their settings. Most of the sound examples are recorded / lined into Cubase to give you a clear sound of what it sounds like in a recording situation. Guitar used in this video: Fender American Standard Stratocaster 2014 with a Shawbucker in the bridge position and Custom 50’s singlecoils. So, with that said… or rather, written… hope you like the video! If you do please consider subscribing to Have Guitar, I’m doing my best to publish new videos every week (on Thursdays) and hopefully I’ll get better as I do so. Thanks for watching my videos and a Very Big Thanks to all of you who allready subscribes! Author adminPosted on July 6, 2017 Categories Kemper Effects, Kemper Profiling AmpTags have guitar, kemper effects, kemper profiling amp, reverbsLeave a comment on Kemper Effects: Reverbs! A New Gear Day is a good day – Have Guitar! is happy to present the unboxing of the newly acquired Epiphone Thunderbird Classic IV pro base guitar! I’ve had the need of a new, good base for a long while… actually when thinking about it I never had a base that I was really happy with! So it’s about high time I got one! This is just the unboxing of the Epiphone Thunderbird and some other stuff, a proper review of the base will come soon. The Thunderbird was purchased from Gear4Music. Hope you liked the video, subscribe for more videos why don’t you! Thanks to all of you who already sub’s – you’re the best!